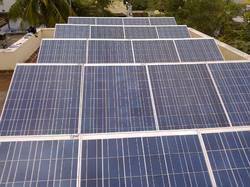 Offering you a complete choice of products which include solar power plant. The Solar Power Plant for Power Stations made accessible by us in the business, is broadly applauded for its predominant execution and more administration life. Making of this extent done in agreeability with the set business standards and rules, its standard of value never weakens. Notwithstanding this, the offered reach is known to be checked at the most sensible rate conceivable. Looking for Solar Power Plant for Power Stations ?